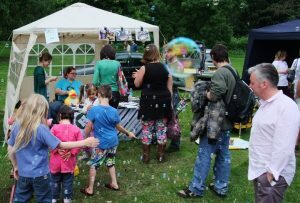 Nottingham Hackspace will be at the 22nd annual Nottingham Green Festival on Sunday, 1 September. Promoting recycling, nature, organic food, fair trade and ethical living, the Green Festival is at Arboretum Park, a short walk from Nottingham city centre. The Hackspace will be there with flyers, members’ projects, and fun things for visitors to do, from 12:00 to 18:00.